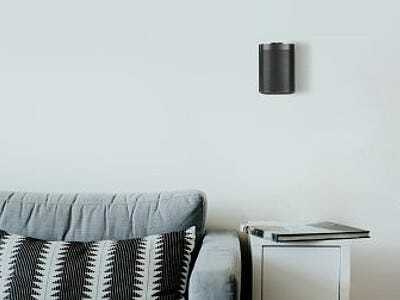 Mount your Sonos One or Play:1 speaker neatly on the wall with this high-quality flexible wall bracket, which is specially tailored for a perfect fit. This wall bracket features a unique tilting and swivelling mechanism that can perfectly angle the speaker. Featuring a handy cable management slot on the rear side which helps keep an organised and clean appearance. The included mounting hardware makes this bracket suitable for both brick and wood stud walls.